Time series of solar radiation and meteorological variables is a key requirement for modelling energy production of solar power plants. In the due diligence phase, time series can be used to understand expected year-to-year variability, seasonal or intraday energy generation profile, and for calculation of energy estimates for P90 or other probabilistic scenarios. In the operational phase, Solargis time series helps in understanding how much solar radiation was falling on the solar panels during last months, or how much energy should a solar power plant have generated in previous months. Multiple independent validation studies have identified SolarGIS as the most reliable modeled solar radiation data source. SolarGIS data help reduce project risk in development stage and enable reliable performance assessment in the operational stage of a solar project. High resolution solar radiation data ensure that your energy calculations are reliable also in regions with high spatial variability of solar resource i.e. coastal and hilly regions. Long historical archive of solar radiation data is available for any location between 60N and 45S latitudes. The Solargis database has also been validated at 200+ locations globally. No matter where your project is located, you can rely on Solargis. On many occasions you will not have the luxury to wait for days until you can access the data you need. Our online shop allows you to order data without any email interaction with us. Delivery time varies from 5 minutes to up to 2 days depending on complexity of your order. 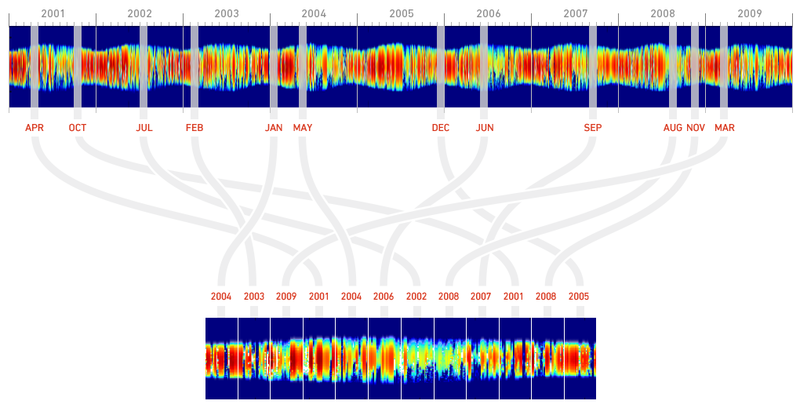 A Typical Meteorological Year (TMY) dataset is derived from a multi-year time series. Majority of PV simulation software such as PVsyst, SAM, etc. are able to use a maximum of 8760 hourly values of solar radiation and meteorological data as input for energy simulation. 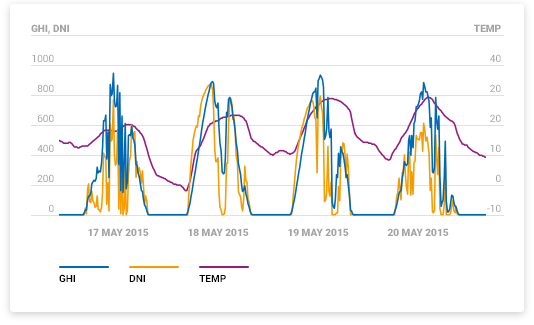 To make it easier to import SolarGIS data to PV simulation software and to speed up simulation, we also generate TMY data files from multi-year time series. TMY files can be generated for P50, P90, and other probability of exceedance scenarios. As preparation of TMY data always results in loss of information, it is recommended to use a multi-year time series for energy simulation purposes when possible.